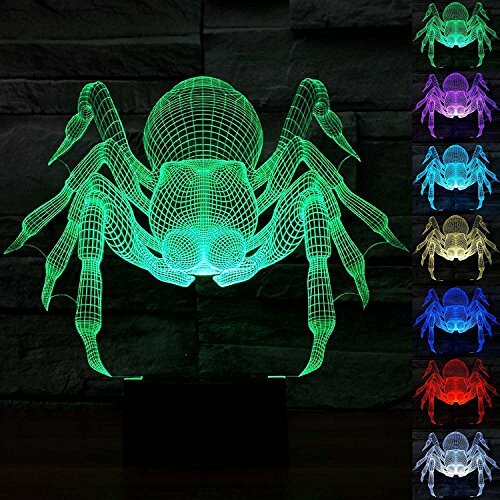 Spider Nightlight lamp,appear as an 3D optical illusion effect, actually completely flat. Perfect Halloween gift for kids and good decoration for bedroom, child room, living room, bar, shop, cafe, restaurant and parties. If you have any questions about this product by Threetoo, contact us by completing and submitting the form below. If you are looking for a specif part number, please include it with your message.